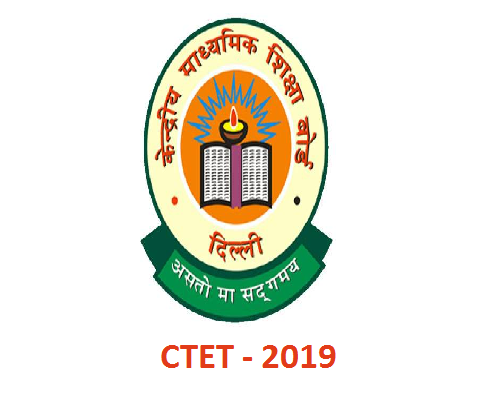 CBSE (Central Board of Secondary Education) is organizing the Central Teacher Eligibility Test (CTET) Examination 2019. The notification announced on the official website. Candidates who are eligible for the teacher eligibility test can fill the application form in online from the website @ www.ctet.nic.in. All the candidates who are waiting for the CTET Notification 2019 can cheer up with your preparations. Candidates you have maximum 4 months of time. Now lets start the CTET preparation. Wish you a bit of good luck to the candidates, who are going to attend for the CTET Examinations 2019. The CTET Application form commences on March 3rd, 2019. The CTET entrance test will be conducted on July 7th, 2019. The exam conducted over 92 cities across the countries. There are 2 papers in CTET 2019. Paper – 1 & paper – 2. The aspirants who have qualified in the paper – 1 can be able to apply for the primary teacher jobs for classes 1 to 5. The aspirants who qualify in a paper – 2 Can be able to apply for the upper classes 6 to 8. The online registration of CTET starts on February 5th, 2019. And the last date of submission of online application form is March 3rd, 2019. Aspirants who are applying for the CTET Examinations 2019 can check the information given below. Here we provided the important dates, application fees, and eligibility criteria, admit cards of CTET. The CTET Online application forms are available from Feb 5th, 2019. The candidates who wish to apply for the CTET can fill the application forms on the website. The CTET Online application forms are also available in careers99.com, etc..,. the application forms end on March 3rd, 2019. So candidates who are seeking the job can fill the application form without late fee. Before filling the application form candidates check the details of CTET Application form. The application fees are mentioned below. All the aspirants who need to apply the CTET can fill the application form in online. There is no age limit for the CBSE CET. Aspirants need to fulfil the following requirements given below. There is no age limit for the CBSE CTET 2019. But there is some educational qualification given below. Graduation with at least 50% of marks passed or appearing 1 year of Bachelor in Education. The CBSE board will publish the CTET Admit cards in online form the website @ www.ctet.nic.in. The candidates who have submitted the online application forms can be able to download the CTET admit cards 2019. The CTET Admit cards are also available in careers99.com candidates download the CTET admit cards by entering your registration id, phone number, etc.., on the website. The CTET admit card declares one week before the examination date. After downloading the CTET Admit card candidates are requested to take a copy of the admit card. After completion of CTET examinations, the CBSE Board announces the CTET Results in the official web link. The CBSE CTET Examinations were held on September 16, 2019. After declaring the CTET Results the candidates are supposed to check the results on the website.